Have you ever heard about something so amazing that you needed to drop everything and go do it? Well this is kinda of it. I was on the phone with my sister explaining my pickle obsession when she began to tell me about these Moroccan preserved lemons. She had tried them at a friends house a couple months ago and was determined to make them herself. Kosher or sea salt preserve the lemons in a certain way that make them unbelievably delicious. Their like a citrusy healthy candy that can make any food a million times better. The lemons must sit in a bath of lemon juice and salt for 30 days, and then they are ready to use. I’m so excited to put them in my salads, couscous and basically anything I can find. Check back in a month to see them incorporated into some delicious Mediterranean meals. Sterilize your jar by placing boiling water inside and letting it sit for 10 minutes. Pour out the water and place in a 350 degree oven for 10 minutes. 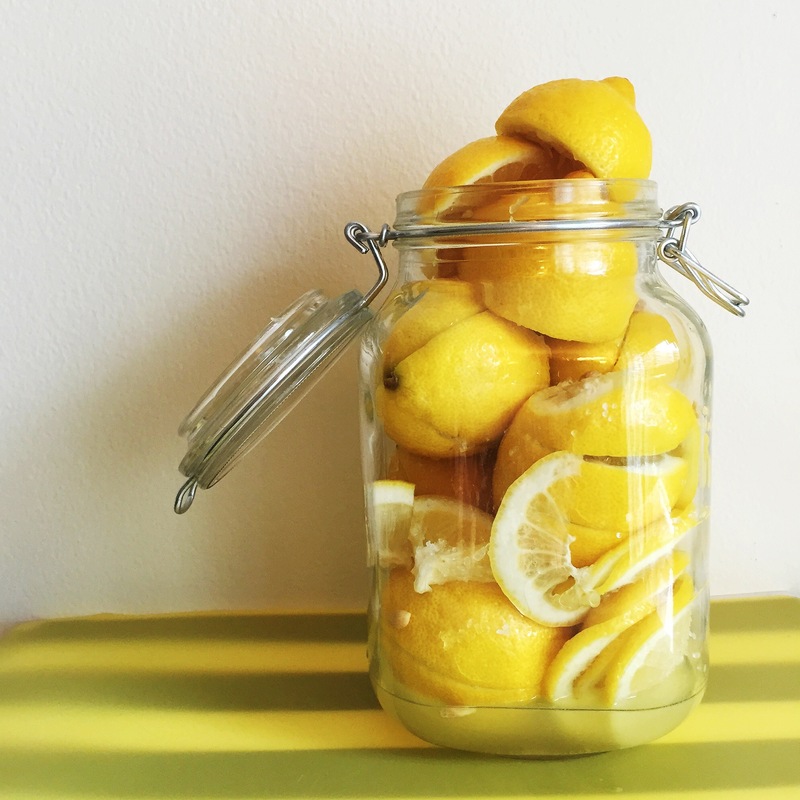 In the meantime, wash the lemons (since you’ll be eating the outer layer as well). Cut the lemon into fours, but keep them in tact at the bottom. This is the usual way of cutting, you can also thinly slice them–but salt them a little less. Once they are cut, place a tablespoon of sea salt in each side and then place into the jar. 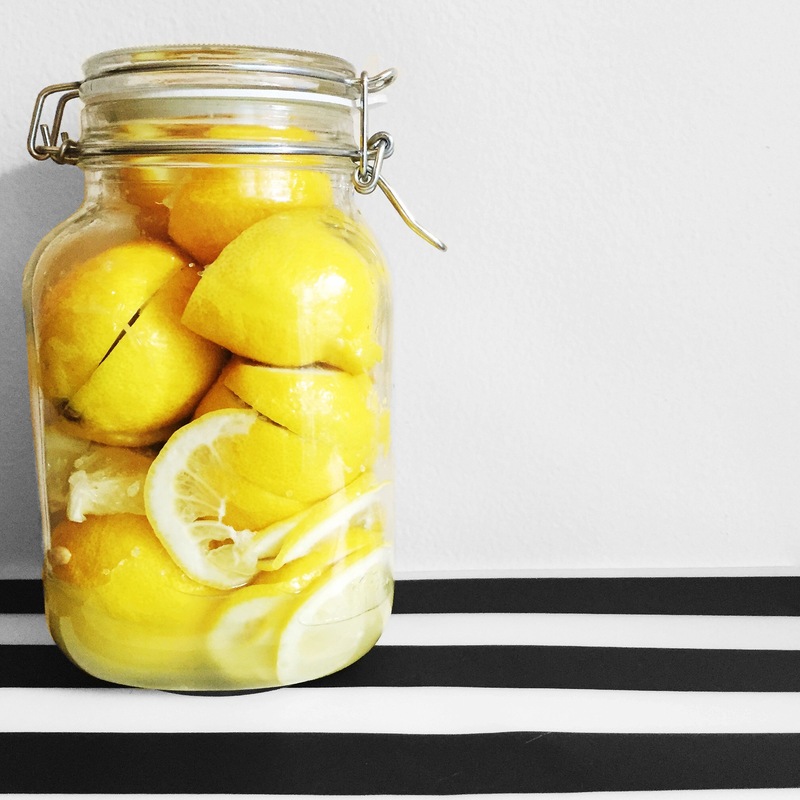 Squish as many lemons as you can into the jar. Juice 3-4 Lemons (any that didn’t fit into the jar). Pour a little salt on the top and close the jar. Store the jar in a dark place. Check on it after 3 days to see if the lemons have produced enough juice to fill the jar. If that is not the case, juice some more lemons until all the lemons are covered. Store them for a total of 30 days and then enjoy. Remember, the whole lemon is now edible. 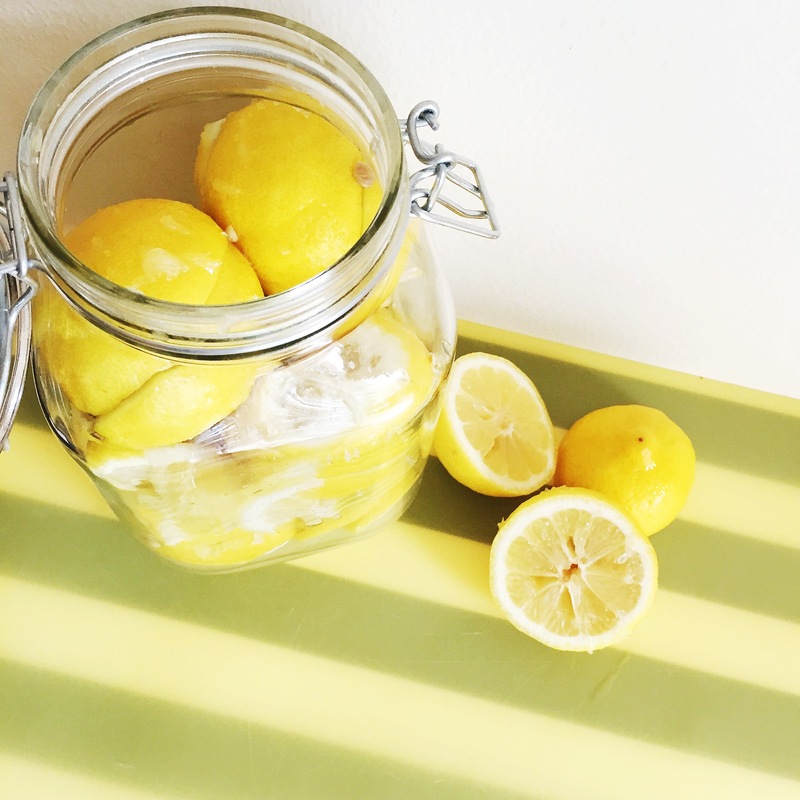 The lemons last indefinitely–how awesome is that!